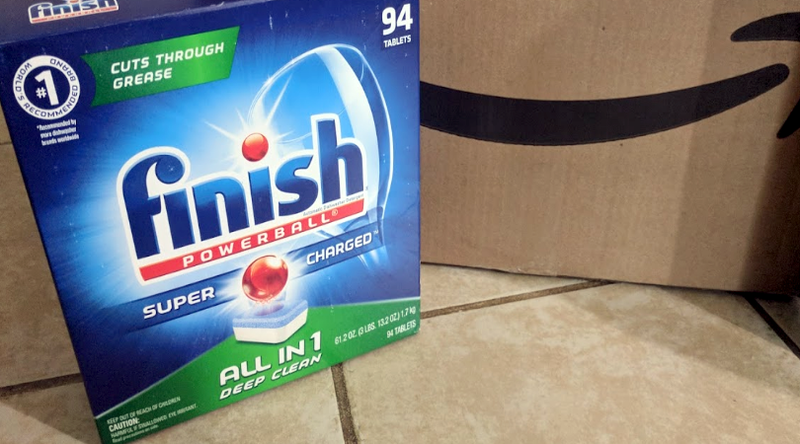 Hurry over to Amazon and save on Finish – All in 1-94ct – Dishwasher Detergent – Powerball – Dishwashing Tablets when you clip the 20% off coupon on the page. 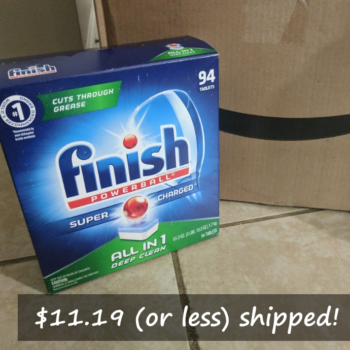 Save an additional 5-15% when you checkout using Subscribe & Save! Save 15% on your entire delivery when you subscribe to 5 or more items that arrive in the same month. You can manage, skip or cancel your subscriptions all online. Prices & Promotions can change at any time without notice. Always verify pricing before purchase.